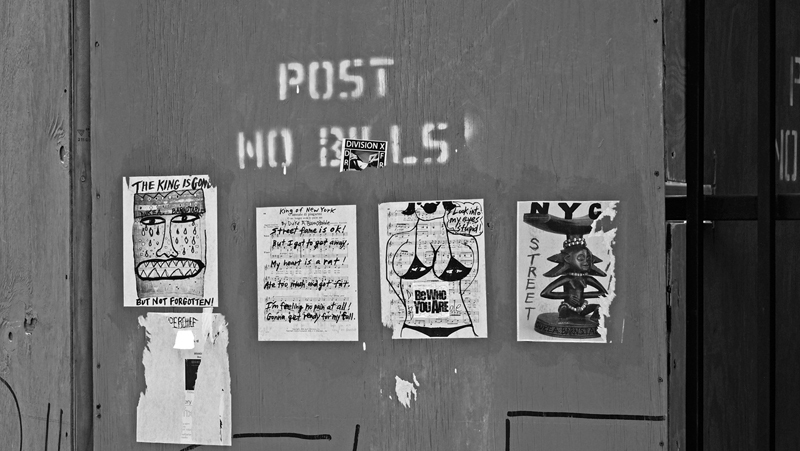 Post No Bills? Yeah, right. Guerrilla Marketing for the Indie Author. The term was coined by Jay Conrad Levinson back in 1984, referring to Guerrilla Warfare, the use of unconventional methods in battle. Used by big companies with large budgets and individuals with limited funds, Guerrilla marketing is an effective strategy. As Indie authors, we can’t just self-publish, sit back, and wait for the sales to come in. The book will not sell itself. It won’t. We have to sell it, and by any means necessary. Guerrilla marketing compliments the Indie author. It’s low cost with room for ingenuity. Now, I can’t tell all the ways to Guerrilla market, but what I can tell you is that you should. Without a doubt. You’ll need some ideas, some help, and some perseverance. The basics. Here’s some must haves: a professional website, a blog, a Goodreads author profile, a Facebook page, and a Twitter account. The last two should be author only accounts, no tweets about tv shows or status updates about your cats or what you’re having for dinner in between book promo posts. It’s bad form. No one will take you seriously. In addition to social media and blogging, there’s contests, email blasts, giveaways, stickers, bookmarks, business cards, flyers, t-shirts, bumper stickers, car magnets, linking up with reporters/media, connecting with the community via events, and pairing up with other indie authors. Enlist some friends, utilize a street team. There’s so many more possible ways. You’re a writer, be creative. Tip: Don’t be shy, get in people’s faces, in a good way. The introverted author must become the extroverted promoter. For me, I’m fortunate. I live in a city of over 8 million people. No matter where you are, city or country or somewhere in the middle, there’s people, there’s readers, there’s buyers. Go, Guerrilla market, sell yourself and your book, stand out. I bum rush Facebook groups and Goodreads forums. A few get pissed off, but mostly I get a large number of responses. I give business cards (book cover on one side, web info on back) to people I see reading books. 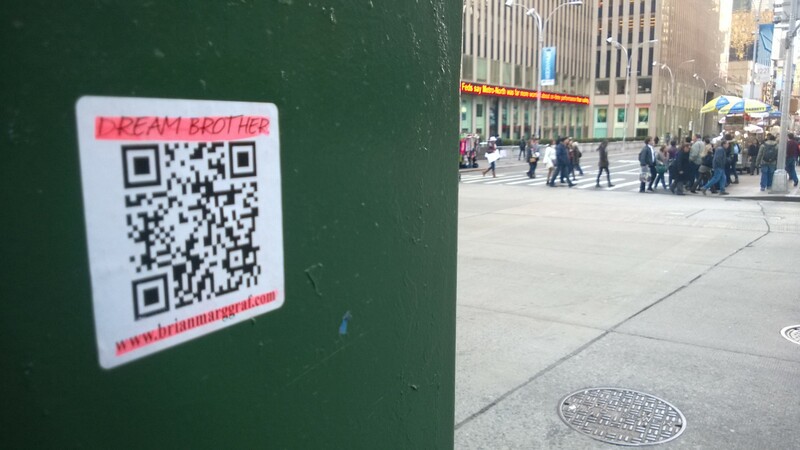 I regularly put qr code stickers in bookstore bathrooms all over New York City. I have a lady friend hit up the women’s stalls. I won’t divulge any more tactics, some are mildly illegal and I won’t incriminate myself. Gather your weapons. Rally your troops. Here’s the point. Why spend months, or even years, writing and submitting queries to agents who are clearly looking the other way? If they passed on Kurt Vonnegut, what chance do you have? 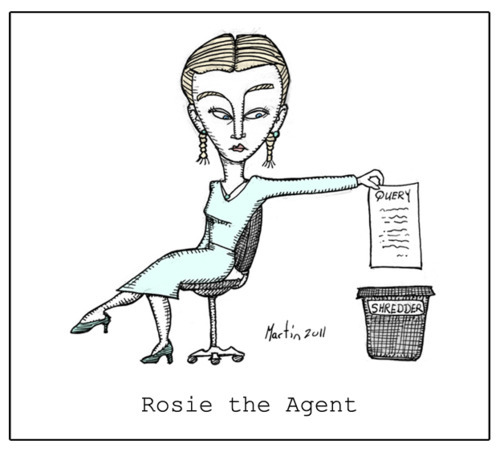 Agent, defined: 1. a person who acts on behalf of another, in particular. Do agents really represent authors (unknown or established) or do they represent their own financial interests and those of Big Publishers? In terms of quality, perhaps the guards are sleeping at the gates. 2. a person or thing that takes an active role or produces a specified effect. Be that person, be your own agent of change. You, not someone else. You, the person that isn’t so concerned with profit. You, the person that cares about the future of literature, not the 15% commission. During the course of one year, I queried over 300 agents, followed all their silly and varied submission requirements, I know, no attachments, got it, waited to hear back for weeks sometimes, other times, didn’t hear back at all, even with partial or full manuscript requests, read all their canned responses, I’m not taking on new authors at this time, the work doesn’t fit with my list. Blah, blah, blah. Query tip: don’t send any more. Take your work straight to the reader. Within one month, I built a platform, designed my cover, formatted my ebook, published, promoted, marketed, and advertised. Indie news, author spotlights, advice from others, rants from me. First blog post coming soon. Click follow in the lower right corner and be notified via email when new posts are available.